Maryland Pink and Green: "Breathe to Believe"
This spring, I'm participating in the Cystic Fibrosis Foundation's Great Strides as part of Team Torianna. 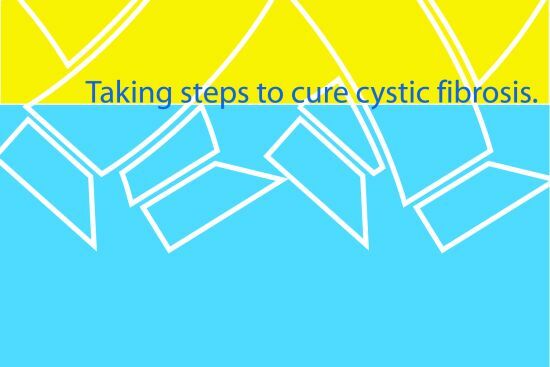 "Great Strides: Taking Steps to Cure Cystic Fibrosis is the Cystic Fibrosis Foundation's largest national fundraising event. Tens of thousands of co-workers, friends and family come together each year as one community for one cause…to help find a cure for CF. In 2011, nearly $38 million was raised to support vital CF programs." My friend Hilary told me Torianna's story and I was very moved by this beautiful little girl and her family. When I first heard about Torianna, I knew that I wanted to do something to help. I had to do something to help. You can learn more about Torianna on the Team Torianna website or by watching this short video. The girls and I will walk with the other members of Team Torianna in May. Please help me meet or exceed my fundraising goal by sponsoring me. Your generous gift will be used efficiently and effectively, as nearly 90 cents of every dollar of revenue raised is available for investment in vital CF programs to support research, care and education. Making a donation is easy and secure. Just click this link or the widget button on my blog sidebar to make a donation that will be credited to my team. Any amount you can donate is greatly appreciated. Cystic fibrosis (CF) is a devastating genetic disease that affects tens of thousands of children and young adults in the United States. Research and care supported by the Cystic Fibrosis Foundation is making a huge difference in extending the quality of life for those with CF. However, we continue to lose precious lives to CF every day. That's why your help is needed now more than ever to ensure that a cure is found sooner - rather than later. Click here to learn more about CF and the CF Foundation. Together, we can make a difference in the lives of those with CF. Thank you for supporting the mission of the CF Foundation and GREAT STRIDES. You are awesome Bethany!!! I can't thank you enough!!! I just know CF will stand for Cure Found some day soon!! !